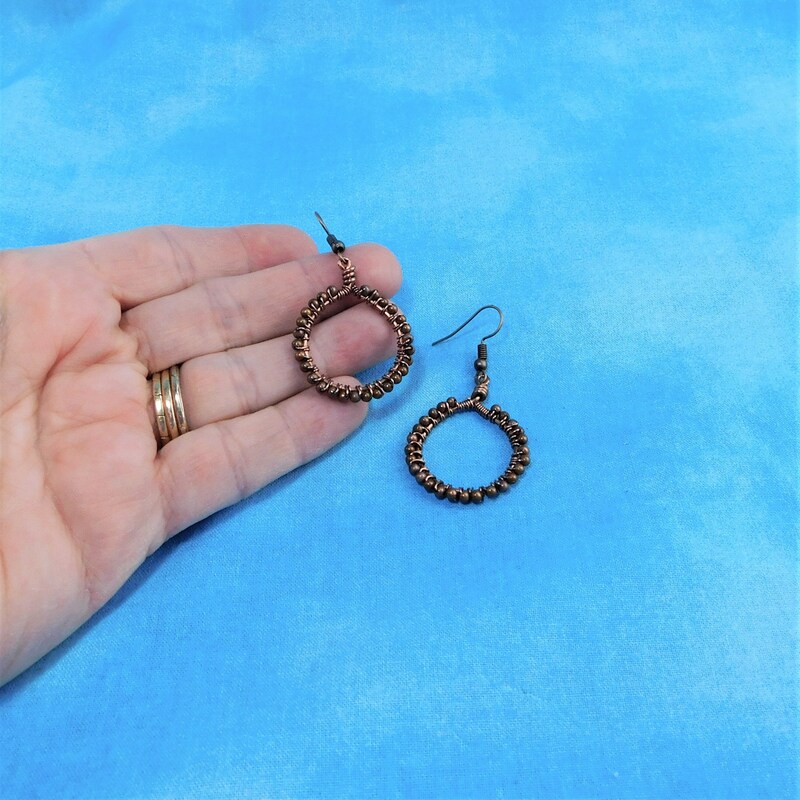 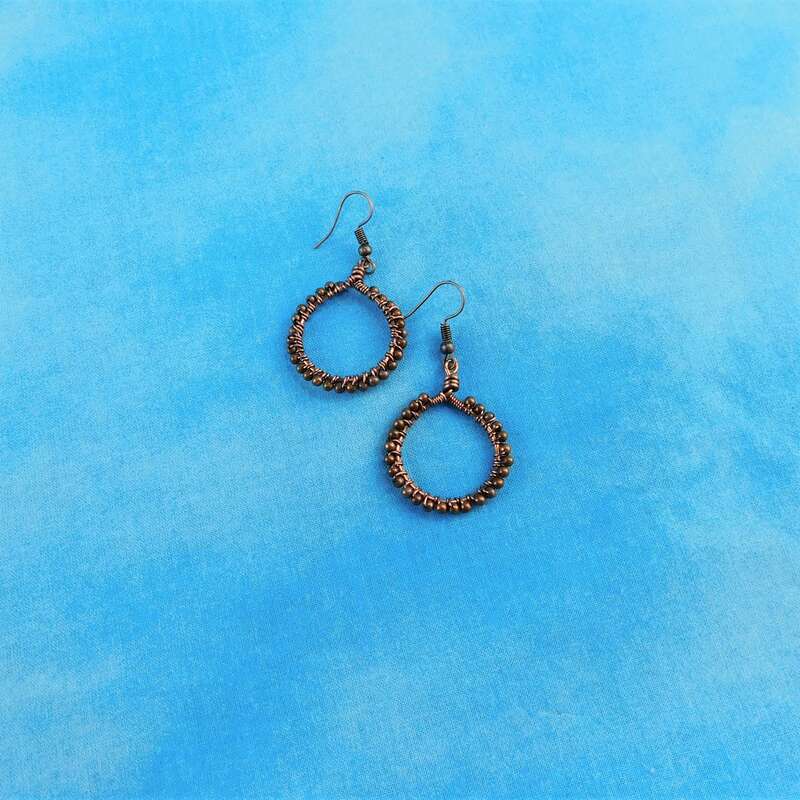 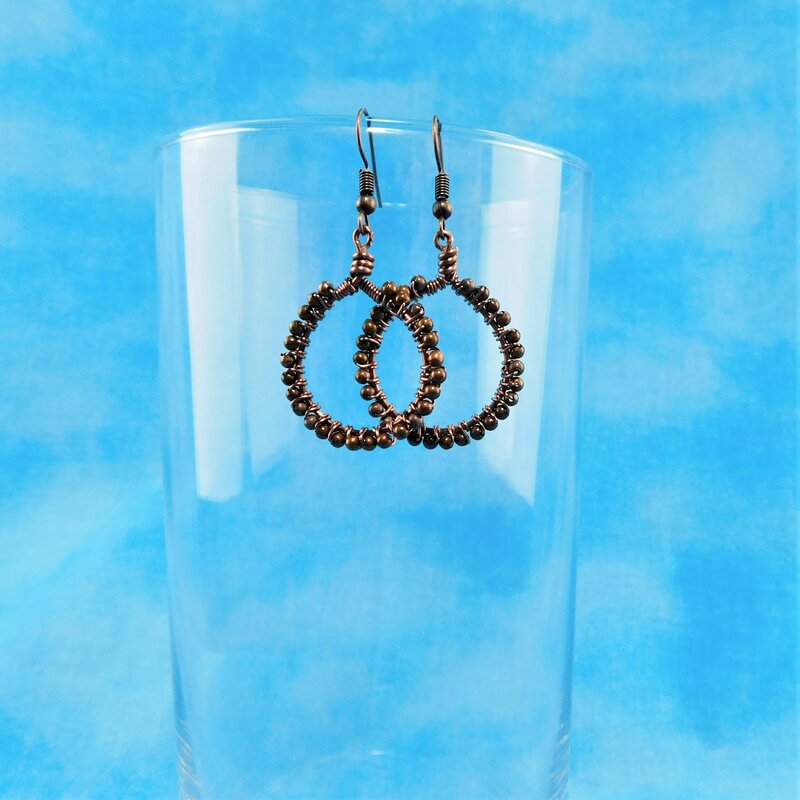 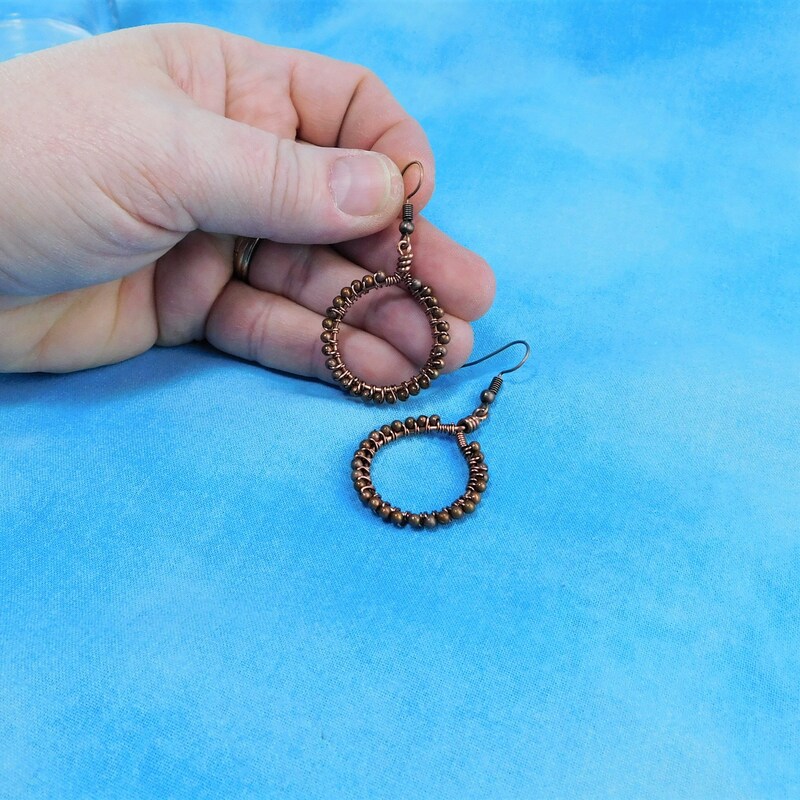 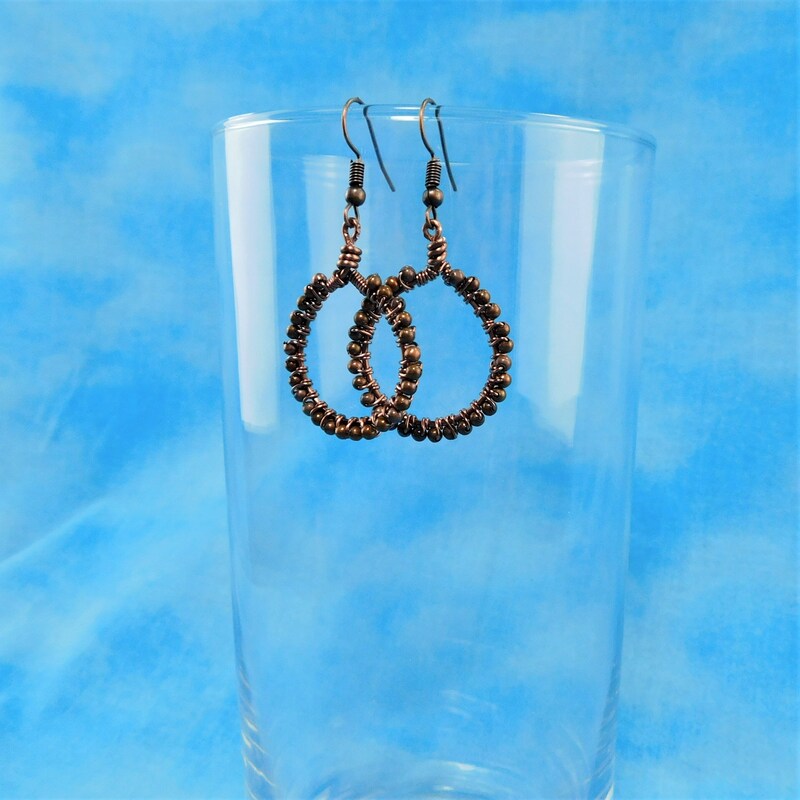 Non tarnish dark copper wire is hand sculpted into circles, creating front facing hoop earrings . 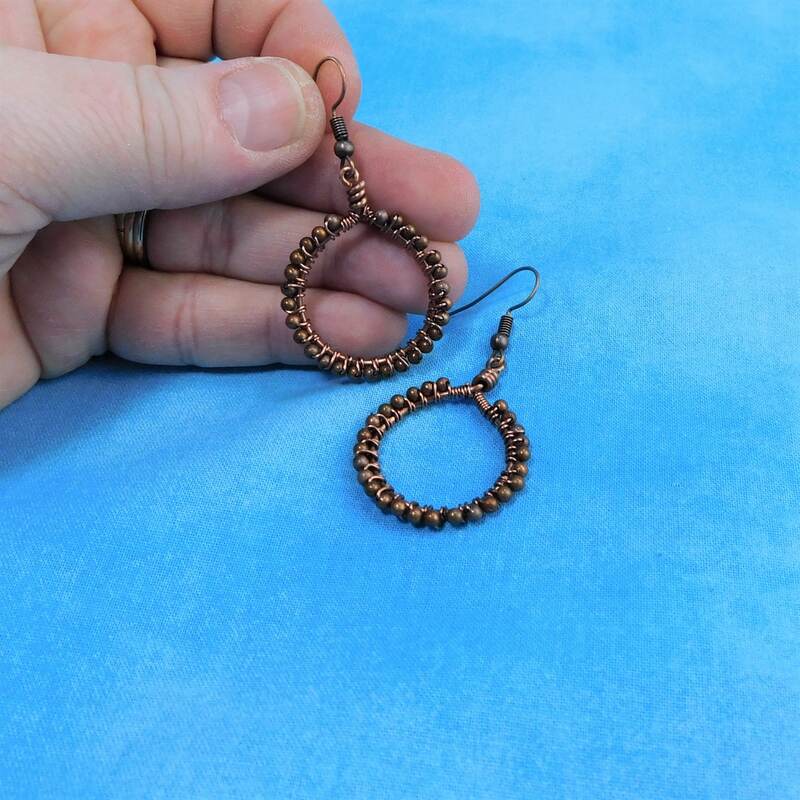 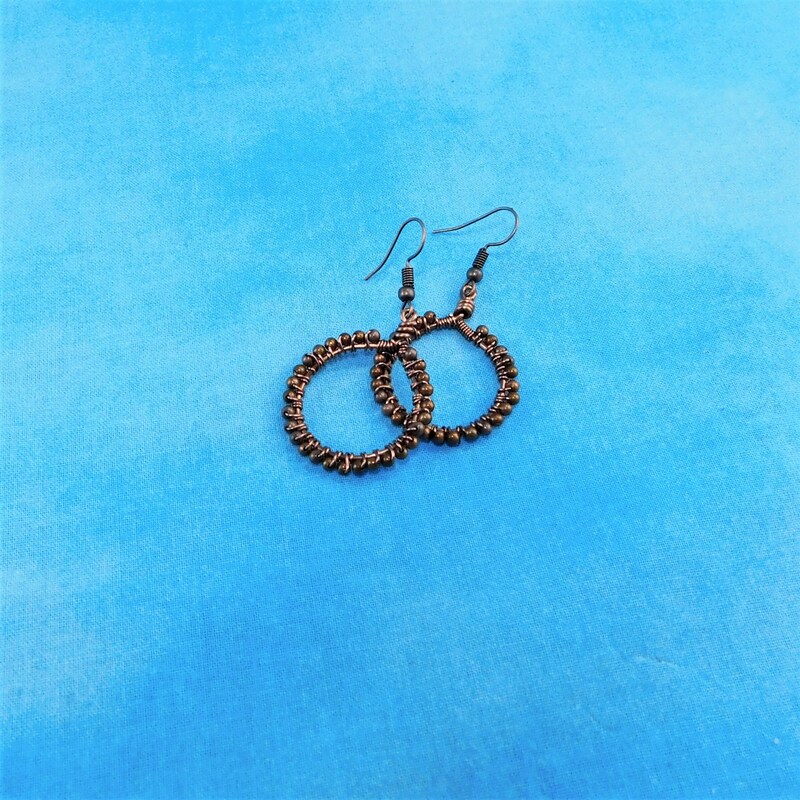 The hoops were meticulously wire wrapped with copper beads, for texture and interest. 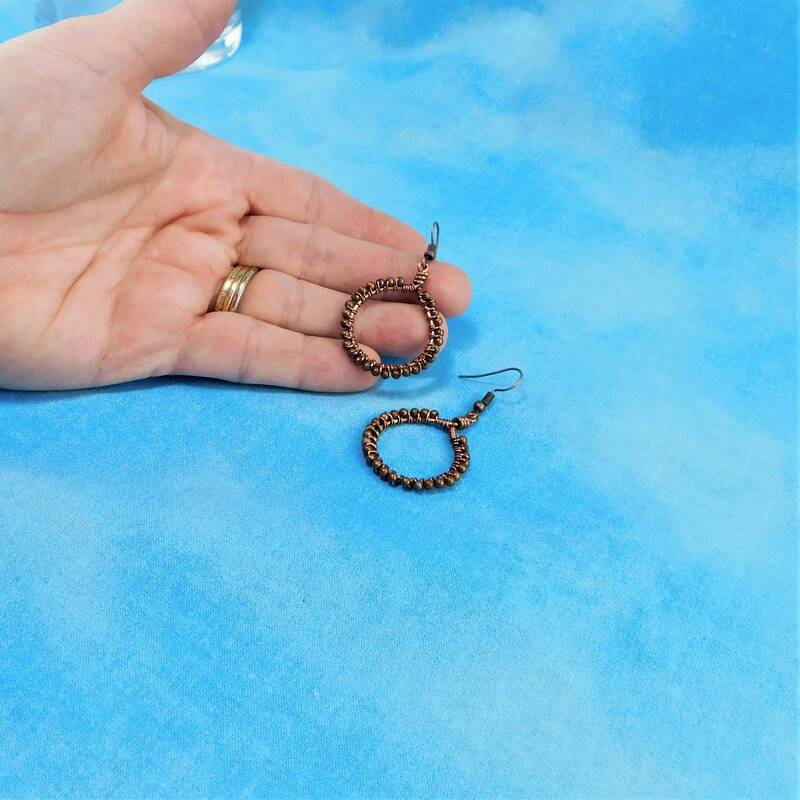 These special earrings are comfortable and fun to wear. 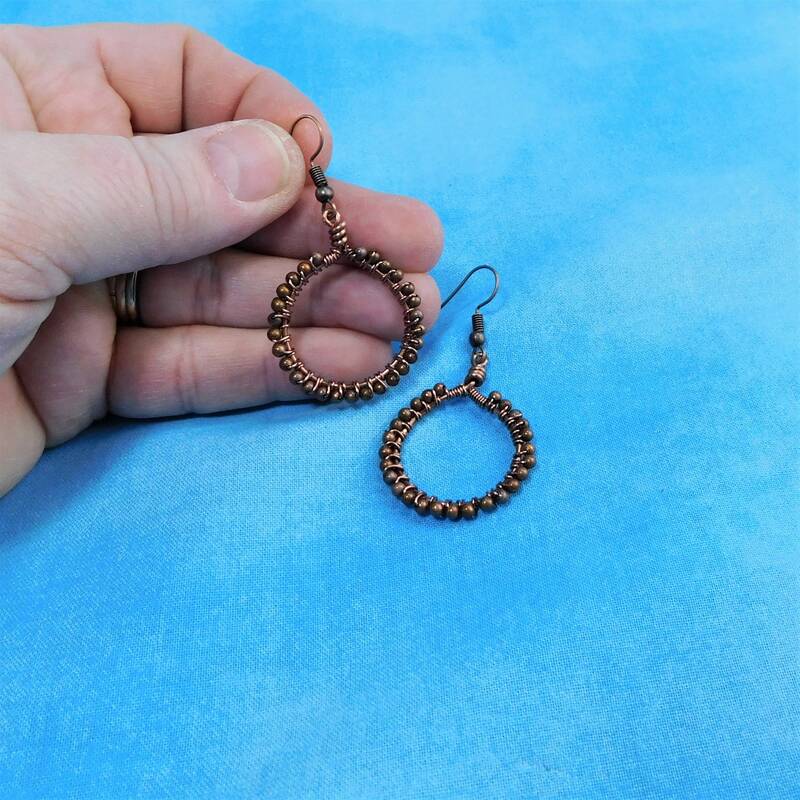 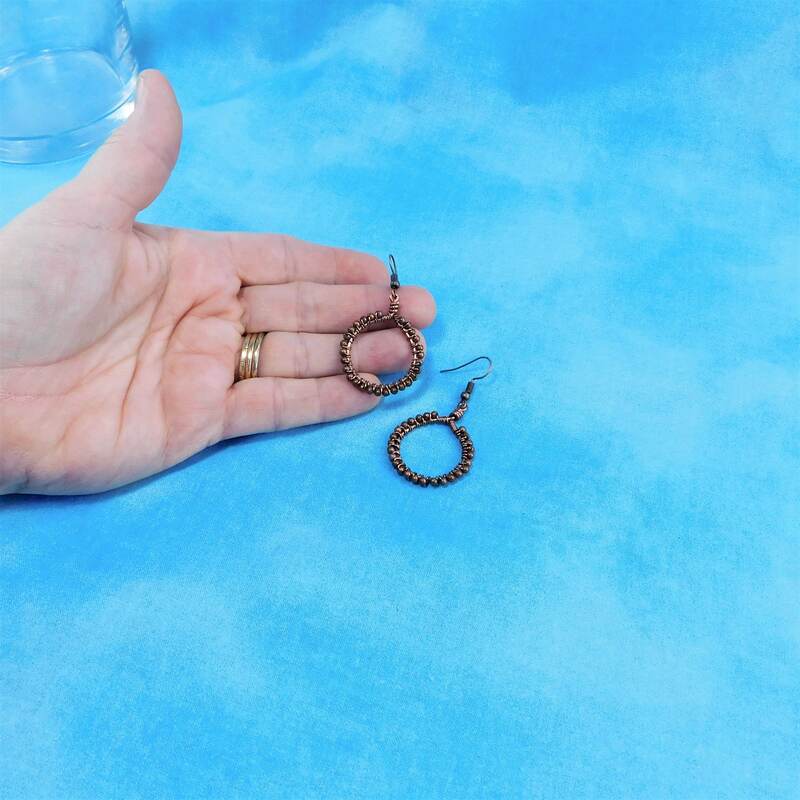 The hoops are 1 inch each, and the total length of each earring is 1 1/4 inches from the bottom of the ear wire to the bottom of the hoop.